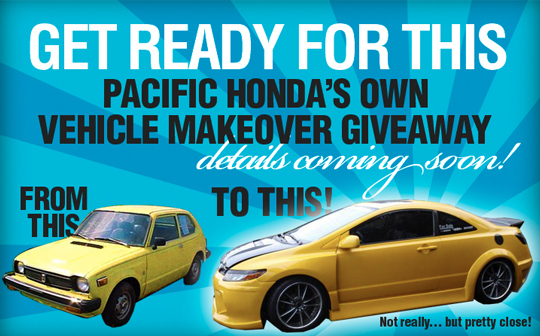 Pacific Honda Blog: Makeover Giveaway - COMING SOON! Makeover Giveaway - COMING SOON! Check Out Mary's Honda Makeover! BE GREEN ON ST. PATTY'S DAY! Why Buy From Pacific Honda?